In small one-room apartments such as lofts or studios, separating the bedroom from the living areas always poses a challenge. A wall is the simplest solution, but it eats into the limited area of the apartment and blocks out light and ventilation. Privacy is essential, especially when you have guests, as you don’t want them to use your bed as a sofa. With some help from a design professional, you can create flexible partitions that give your bedroom the much-needed privacy that it deserves. We’ve picked 12 designs to get you started on thinking what might work best for your small apartment. 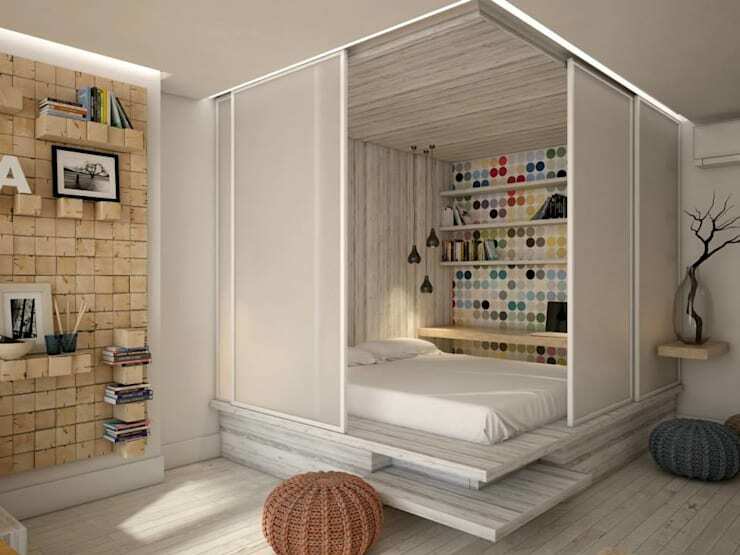 Designing the bed at a raised level and including sliding doors that close tightly around it to block out direct views from the living area is a great space saver. The doors can be left open most of the time, so you don’t feel claustrophobic, and be closed while entertaining. 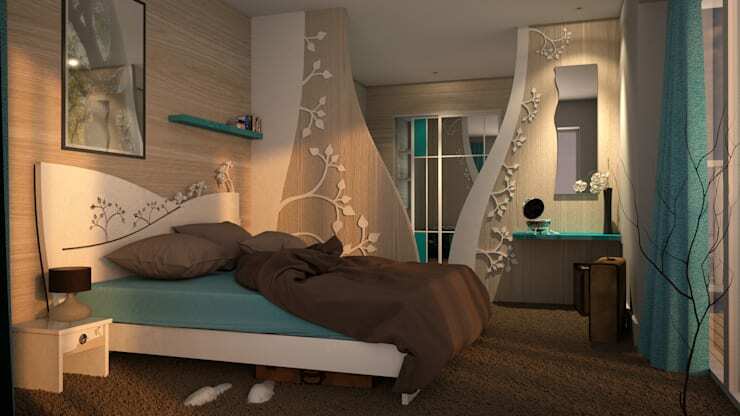 The project is a one-room apartment. 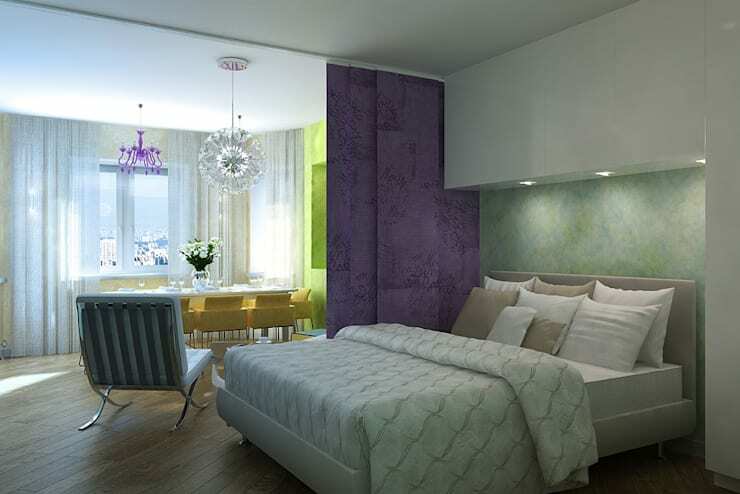 In this one-room apartment, the purple floor-to-ceiling sliding wall can be kept open when you are home alone. When visitors arrive, slide the wall closed, and no one will know that a bedroom lies behind it! A simple solution for creating a visual partition between the living area and the bedroom is to have floating wooden beams that don’t completely cut out the light, but still effectively demarcate the private and common spaces. For lofts or duplex units that have double ceiling height, staircases can be used to create a horizontal partition. 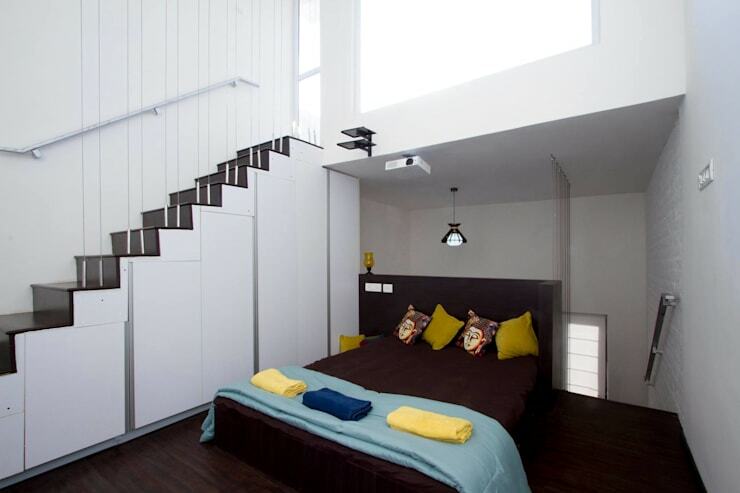 The bed is placed on the landing, like in this small home. 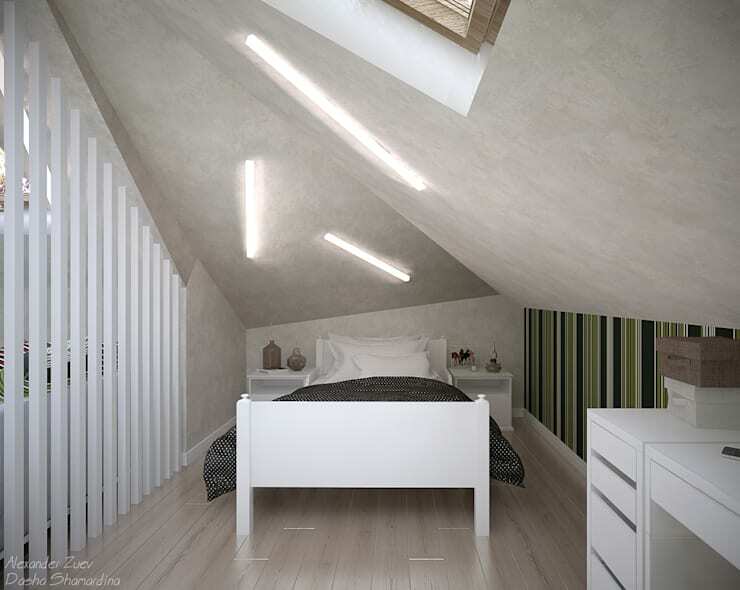 Another great idea for having a permanent partition without blocking out the light and ventilation is to create curved partition walls that are broader at the bottom so that they hide away the bed and dressing areas from direct views from the living space. 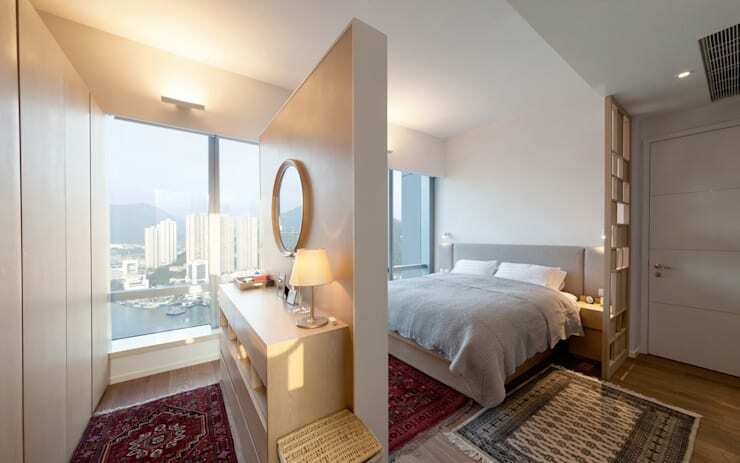 Tucking away the bed behind a partition wall that has the dresser with a mirror (which looks similar to a foyer cabinet) helps to retain the brightness in the bedroom in addition to keeping the space private. Similar to the dresser idea, an open wardrobe that doubles up as a shoe rack and a coat closet can visually separate the bedroom from the main living spaces. Instead of sliding doors, which don’t completely open up, an alternative is to install accordion style sliding doors that fold against the wall to give an airier feel to the apartment. 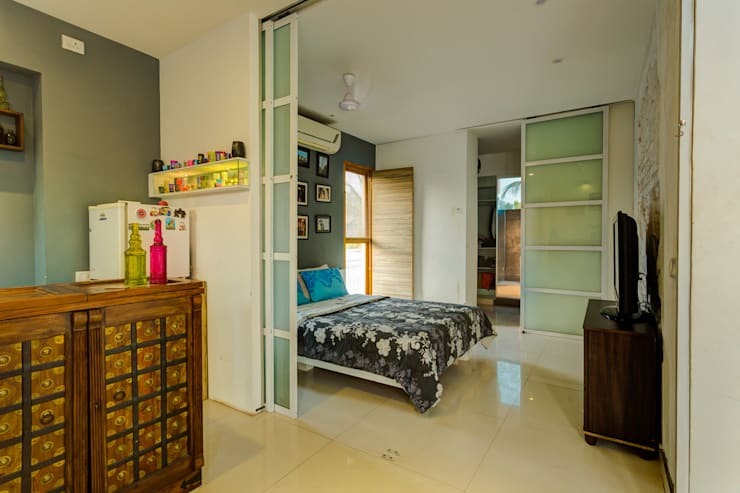 In a tiny studio like this one, sliding doors with glass panels that let in natural light can be used to separate the bedroom from the living space. Another door slides to offer privacy in the bathroom. Using sheer curtains that can be drawn for privacy without compromising on natural light is another good option for creating an elegant partition for a bed. 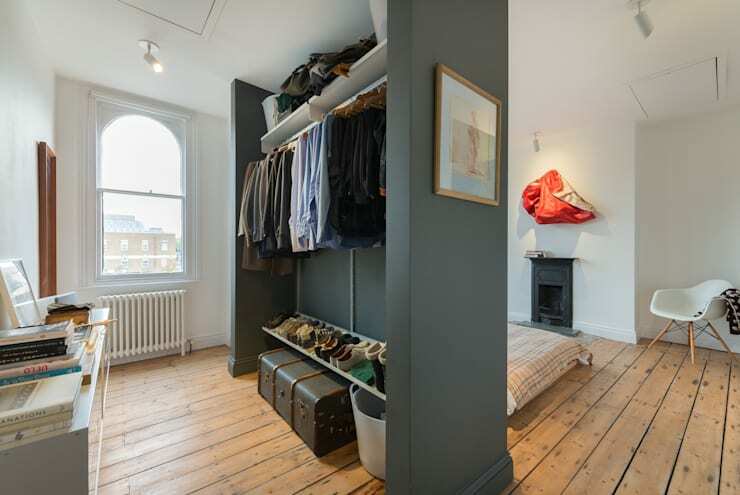 In this tiny apartment, the wardrobe acts as the corridor wall leading from the entrance and hides away the bed from the common spaces. Creating a wooden partition with an etched glass panel framed in the upper portion can offer privacy to the bedroom from the living and dining room behind it. 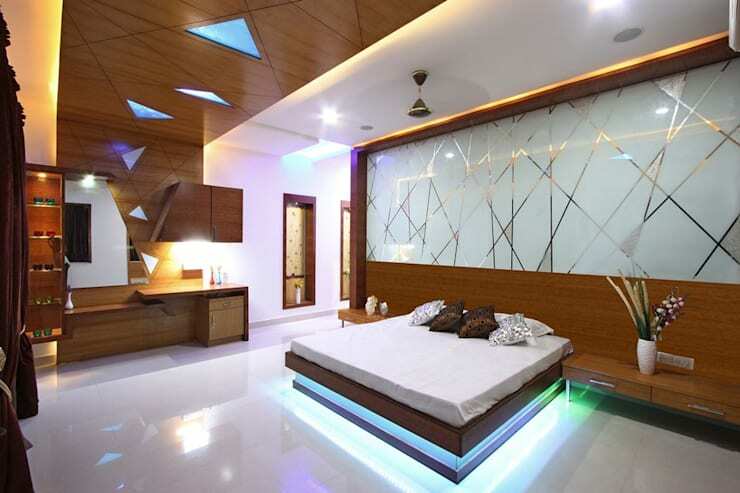 Natural light through the glass panel helps to retain the brightness in the bedroom. 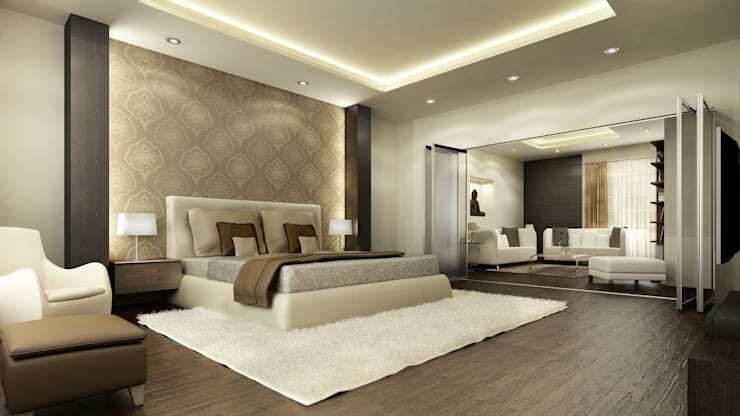 For more tips on creating partitions in your home, visit this ideabook.